The last 6 months have become very busy, so I decided to take a break from the breaking (and fixing) of our servers and get back to the program I’ve been working on to map network information (for which I still have no real name for). Eventually, I figured I would try it out on our clients. I used a FOG snapin to push the program out to all the clients, and within 5 minutes, all PCs that were turned on had managed to deploy the snapin and upload their results to my database. One thing to do for the future, which would be cool, is to see if I can create a single executable with all the code it needs to do packet capture without relying on a packet capture driver being already installed on the system. Is that even possible? 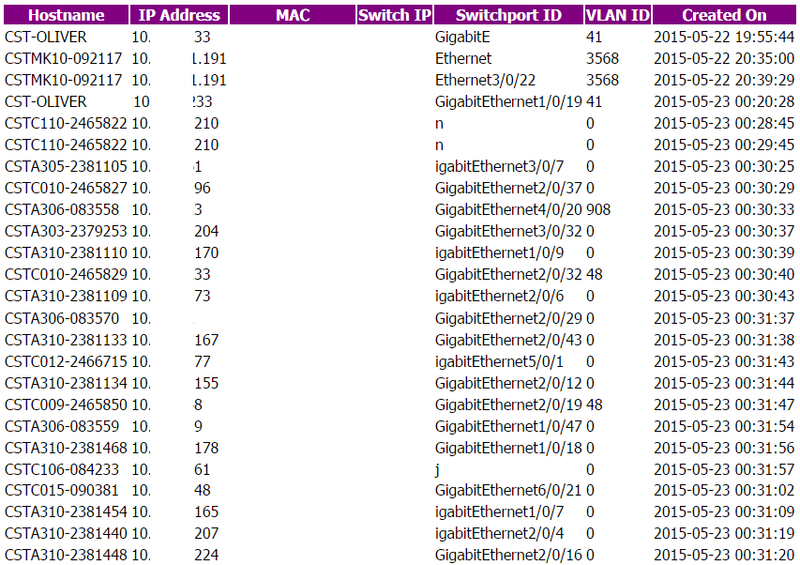 I knew this would be an issue, however, since data lengths are variable, depending on the size of some of the information (switch name, IP and port ID can all be different lengths). 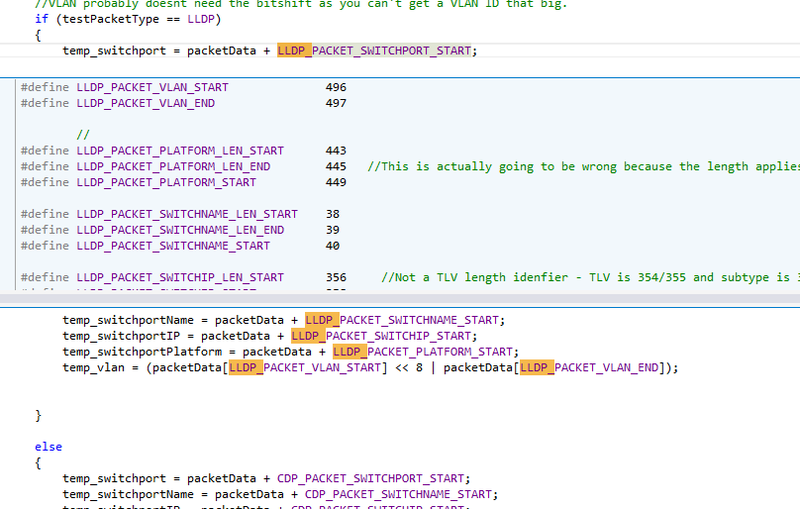 So to fix this, I need a way to read the entire packet and work out what exactly is at which point; luckily, both LLDP and CDP packets use TLV formats – that is, each consecutive sets of bytes within the packet are all logically separated into Type, Length and Values. You can’t tell from a random location what that information is, however, so you absolutely must read the entire packet in and determine what the type is, followed by its length and then finally you can get an entire set of data as the value (usually). Today has been spent working on that and I’m nearly done – so a next post will break it down!